THE POLLUTION FIXERS: Not too many people are familiar with soaping agents or surfactants and what they do. These act like detergents and remove unabsorbed dyes from textile products while ensuring colour fastness. But when they get mixed with effluents, they can pose a huge environmental threat. However, Chennai-based Proklean Technologies has developed a unique probiotics solution that replaces these chemical-based surfactants with "high-performing, all-natural, non-toxic and fully bio-degradable products", helping protect water bodies when industrial effluents are released. Currently, Proklean caters to textile, leather and hospitality industries, but is planning to expand operations and add a few more products, including a household detergent. "For the first time, a unique combination of naturally occurring probiotic microbes (good bacteria, in layman's terms) and certain other natural ingredients is being used to develop these products," explains co-founder and Chief Executive S. Sivaram Pillai, a PhD in biochemistry. "We use a proprietary fermentation and formulation process. Besides pollution control, there are other advantages also, such as 20 per cent water saving." Pillai got acquainted with B. Chandrasekhar in 2006, and the latter roped in Vishwadeep Kuila, an IIM-Ahmedabad alum and former classmate with expertise in sales and marketing. 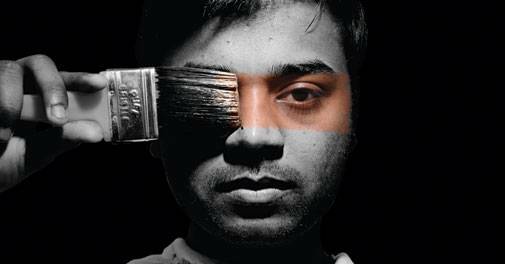 Proklean became operational in 2012 when the trio got an initial funding from Chennai Angels and later raised venture capital from Infuse Capital. The first customer was a Ludhiana-based textile processer and garments exporter called Shingora Textiles. It now serves more than 120 companies, including big players such as Raymond and Mafatlal. Proklean sources an organically certified probiotic mother culture from US-based SCD Probiotics (Pillai's former company) for product development. "It is a two-way licensing, meaning we receive royalty when SCD sells products which have been made using our technology and vice versa," says Pillai. It posted Rs6 crore in annual revenue in the financial year 2016/17, but its immediate goal is to double that amount. The company is about to raise its third round of funding. The money will be used for expansion in overseas markets, research and product development. Solar might be the fastest growing alternative energy source right now, but biogas has always been there in the renewables mix. And it could be back in the limelight again if Bengaluru-based GPS Renewables can scale up fast. Set up in 2012, it is a waste-to-energy company that has pioneered clean and low-cost technology for biowaste management, and produces biogas and the higher-methane-containing bioCNG (compressed natural gas) in the process, which can be used for cooking and power generation. The company not only instals its equipment across urban establishments but also does maintenance, ensures odour management and monitors all operations remotely via Internet of Things (IoT) to make sure there is minimum downtime. "We have patented remote monitoring and operations are carried out smoothly, be it in Baroda or Bangladesh," say co-founders Sreekrishna Sankar and Mainak Chakraborty, alumni of IIM-Bengaluru. All these sound a bit futuristic, but the company's USP lies elsewhere. Setting up a traditional biogas plant requires a lot of civil engineering work and may take up a lot of space - up to several hundred square metres if it is an industry-grade unit. In contrast, all GPS units, christened BioUrja, are compact, pre-fabricated ones, requiring very little installation work; they can be set up even in a parking lot. The total waste-handling capacity of GPS today is between 30 and 50 tonnes a day, across all its 40 installations, preventing thousands of tonnes of CO2-equivalent greenhouse gas emissions and producing valuable fuel. BioUrja is the outcome of finely synced innovations across engineering disciplines. The team continued to fine-tune the prototype till it made the first installation in February 2013 at Akshaya Patra, a Bengaluru-based non-profit body. Today, the company remotely monitors 40 installations across 27 clients, including Infosys (all its campuses have installed BioUrja), ITC Hotels, Taj Hotels and Art of Living (Bengaluru centre), among others. One of its large-scale, retrofit projects is in Bangladesh, where it is working for Kazi Farms and managing poultry litter waste. 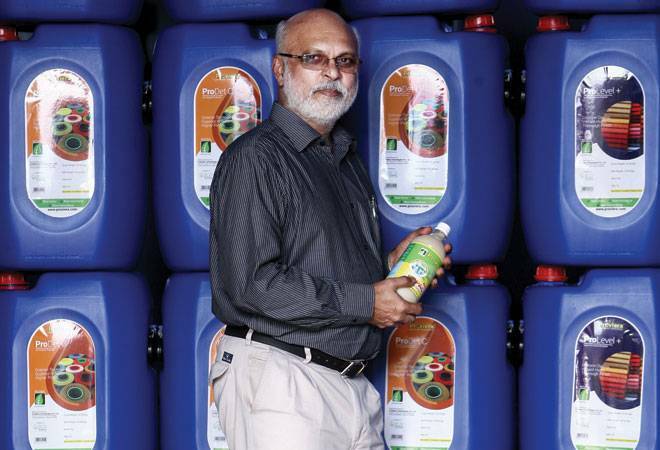 Commenting on its uniqueness, CEO Sankar says, "When most companies recycle waste, it is usually plastic or paper, and organic is mostly used for composting. But we work like a full-fledged recycling firm and convert organic waste to output that has financial value." The goal is to complete 50 installations in the current financial year and reach an annual average of 200-300 units within the next five years. That, according to Sankar, will be possible if the company targets bulk organic waste generators in every city. In June 2015, the Delhi-based Smart Joules entered into a five-year contract to reduce energy consumption at the 153-bed multi-speciality Sant Parmanand Hospital. Consequently, the hospital's electricity bill has come down by Rs1.5 crore in the past 20 months. 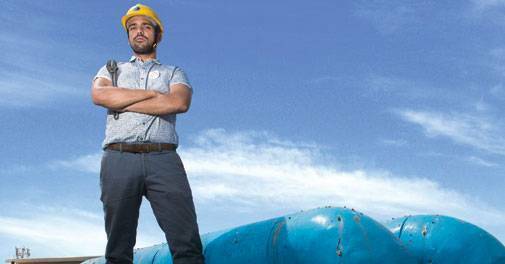 Arjun P. Gupta, the 31-year-old CEO of Smart Joules, says his pitch to potential clients is short and precise: "I tell them that every month I am going to put a cheque in your pocket. We reduce energy costs by at least 15 per cent and we get 70 per cent share from the savings every month." To achieve this, the company instals hardware and software to monitor electricity use and the systems automatically adjust operations to optimise energy consumption. Sant Parmanand Hospital, for instance, reported a 29 per cent reduction in power consumption after setting up the new system. Led by Gupta and Ujjal Majumdar, the COO, Smart Joules has over 15 customers, including six large hospitals. "Our technology has three components - one is IoT-based, high performing, low-cost hardware; second is a software platform to track energy consumption and set targets, alarms, etc; and the third is data from sensors, energy meters and machines used to get insights to better manage and operate the building. The third is the layer of data analytics," says Gupta. Initially, the founders had to invest their own funds, but then got a grant from New York-based social enterprise accelerator Echoing Green. After getting the first contract, they approached Tata Cleantech Capital, a non-banking financial company, which gave a three-year loan and refinanced the investment the company had made. Next, the company took a bigger loan for five years. "These loans are guaranteed by the government under a partial risk-sharing facility," says Gupta. In March 2015, the World Bank and the government had signed a $43 million grant-and-guarantee agreement towards the Partial Risk-Sharing Facility for energy efficiency projects and this reduces collateral requirements for a company such as Smart Joules. On vision for the future, Gupta says they do not set targets in monetary terms. "The amount of energy we are able to save in one hospital, say Sant Parmanand Hospital, is what 500 houses will consume in one year. This is what drives us to do this work." They are in their early-to-mid-20s and call themselves a team of skilled engineers and innovators. Their business is to ensure that businesses meet regulatory standards on pollution. In the process, their start-up has developed a device that converts soot, especially the kind spewed by diesel generators or engines, to ink. New Delhi-based Chakr Innovation is led by Kushagra Srivastava, the 21-year-old Chief Executive; Arpit Dupar, the 24-year-old Chief Technology Officer, and Chief Operating Officer Prateek Sachan, who is 22. After spending around 30 months in research and development, they hit the ground running, launching the company and installing the 'soot-catcher' device for the first time at the Dharampal Satyapal Group in April 2016. "We are also working with central and state pollution control boards for improving air quality," says Srivastava. Other customers include telecom companies such as Bharat Sanchar Nigam Ltd, Mahanagar Telephone Nigam Ltd and American Tower Corporation, all of whom largely depend on diesel generators for running their mobile towers. Chakr now caters to nine companies and is expecting to earn over Rs2 crore in revenues in the current financial year (2017/18). According to Srivastava, the start-up has already chalked out its goal for the next three years. It wants to play a significant role in reducing pollution in Delhi and come up with a technology to control industrial emissions. In this case, the end product will be "a product that has commercial value", he says. The young CEO also envisions a team of 70 by that time; right now, it has 15 people. How does Chakr differentiate itself? "Instead of converting one kind of pollutant to another kind, we convert pollutants into something useful like ink. At client site, we place the device close to the exhaust of the diesel generator and it captures all particulate matter," explains Srivastava. "This reduces carbon footprint and ensures compliance, failing which diesel gensets could get sealed." The ink is supplied to local ink manufacturers. The company is also in talks with potential customers like Dell who may use the soot-turned-ink for printers. Shakriben, a domestic help, lives with her two children in a slum near Gandhi Ashram in Ahmedabad. In February 2015, she carried out a unique experiment and got a new roof made of plastic and agricultural waste. The roof was sturdy and, more important, prevented water leakage. The new structure cost her Rs36,000, a big amount for Shakriben, but she was able to afford it as the amount could be paid through monthly instalments of Rs1,800 for 24 months. 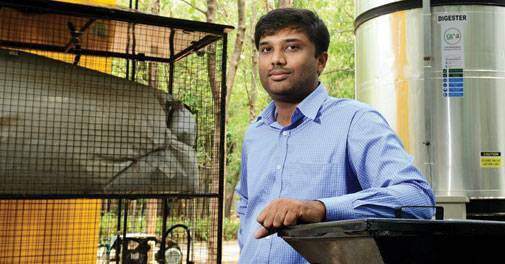 Meet the man behind this novel initiative of finding productive uses for waste. 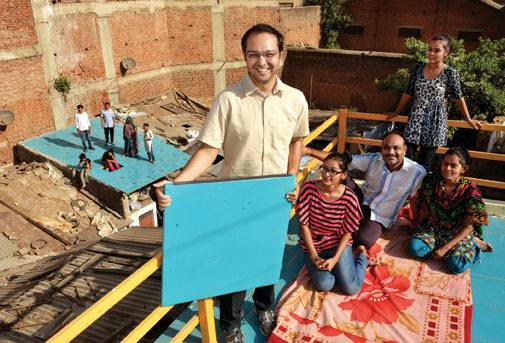 Hasit Ganatra, a 33-year-old engineer, founded ReMaterials, the company that makes and supplies these alternative roofing products. It took Ganatra two years (2013 and 2014) to get the design right for tiles made largely of plastic waste and agricultural waste. His goal was to come up with a solution that was better than the metal and cement roof options available in the market. Ganatra asserts that his roofs are strong (a whole family can sleep on it or use it for storage), built to last and relatively cooler. They are more expensive (about 2-2.5 times) than metal or cement sheets but are half the price of concrete roofs. To make it affordable for his target audience in slums and villages, Ganatra roped in three microfinance entities - Mahila Housing Sewa Trust, the housing arm of Sewa, Saath Microfinance and Fullerton India GramShakti. After the successful experiment at Shakriben's home, Ganatra raised money and set up a factory to manufacture the roofs. The factory was up and running in March 2016. Subsequently, the company was able to go commercial on a larger scale. He got backing from investors who could see value in what he was doing. The family of late C. K. Prahalad, the celebrated global business thinker, is among those supporting the initiative. "My mother and I invested because we both felt that this project embodied the type of entrepreneurial impact that my father was so passionate about," says California-based Deepa Prahalad, daughter of C. K. Prahalad. Her 'token' investment has not been made for financial gains, but she believes it will act as a catalyst and will help the company take off. ReMaterials has another investor who does not like to be identified. Ganatra is now planning to tap the markets in South America, Africa and parts of Asia. Clearly, he is aiming high.